These are the perfect Acoustic Bands for weddings, corporate events & parties in Suffolk, locally sourced by our entertainment experts. Find the best Suffolk Acoustic Bands only at Alive Network, the UK's biggest entertainment agency. THE T-TONES ARE THE UK'S PREMIER DOO-WOP VOCAL GROUP. Available for weddings, corporate events, functions and special occasions. Concepts, jingles, stings and appearances for TV, Radio and online marketing campaigns and projects. Music composition and bespoke song arrangement. Want help finding your perfect Suffolk acoustic band? If you would like assistance finding the perfect live acoustic act for your event in Suffolk, simply give us a call or submit the quick enquiry form below and one of our talented entertainment coordinators will be happy to assist. 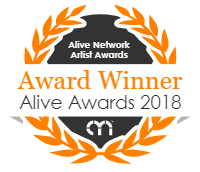 Alive Network are Suffolk's largest live music and entertainment agents and one of the leading live entertainment agencies in the UK. We specialise in providing Suffolk's best live acoustic artists, singers, musicians, DJs and entertainers for events across Suffolk.